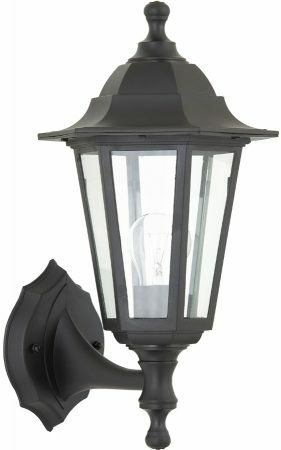 From our collection of outdoor and garden wall lights. From Enluce, an exceptional value for money outdoor lighting range. 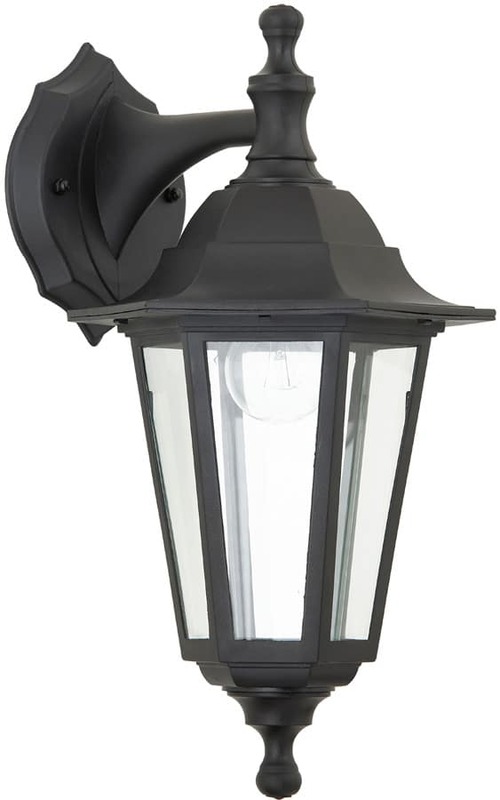 Traditional style black all polycarbonate outdoor wall light, with six vandal resistant polycarbonate panels that can be used as a downlight or an uplight. It can easily be converted by removing the lamp holder and finial and swapping them around. Simple twist and pull socket means no wiring to change and simple to achieve. Perfectly suited to extreme locations such as coastal houses or other areas where there is salt or chemicals in the air. A simple wipe over with an oily cloth will bring this wall light back to its original condition. For further information about the advantages of using polycarbonate, please see our guide to selecting and looking after your outdoor lights.